I didn’t expect the sibling rivalry at this early stage in the game. 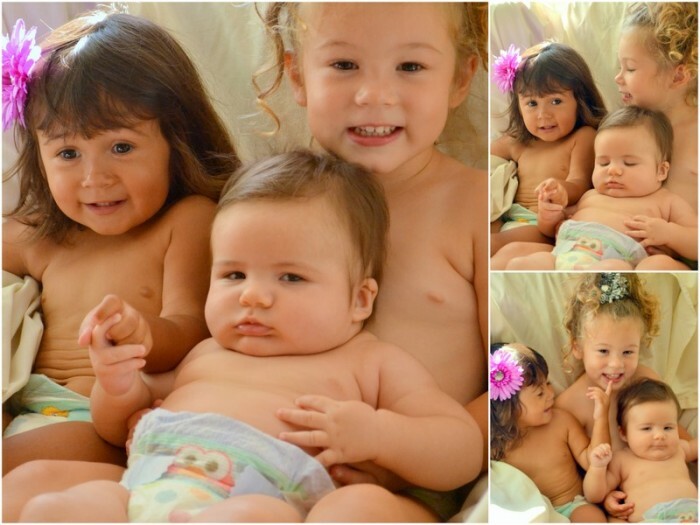 Naively, I thought the girls would be the best of playmates all the time until they were about 13…ha! Boy was I wrong! I also didn’t expect the bond they would have and the excitement they would express at seeing each other after naptime as if they were separated for years and years and it was the ruinion of a lifetime! 🙂 And for 2 little “mommy’s” to come running to the bathroom at the sound of my baby talkin’ voice, immediately assisiting me, handing me the shampoo or grabbing the big ladle spoon to help pour water over his little head. This is such a fun time and I just love what they are teaching me these days. Possible picture for my classroom?!?!?!?!?! ?